::._. : :._.. .. . .:._.:._.. .. . .::._. : :._.. .. ..::._. : :._.... . The original CD was released in 2015, and the files were remastered in January, 2019. We welcome your requests about the items, too! Please take a look at our shop and Facebook page - Mescalina Recordings. We have received excellent feedback! 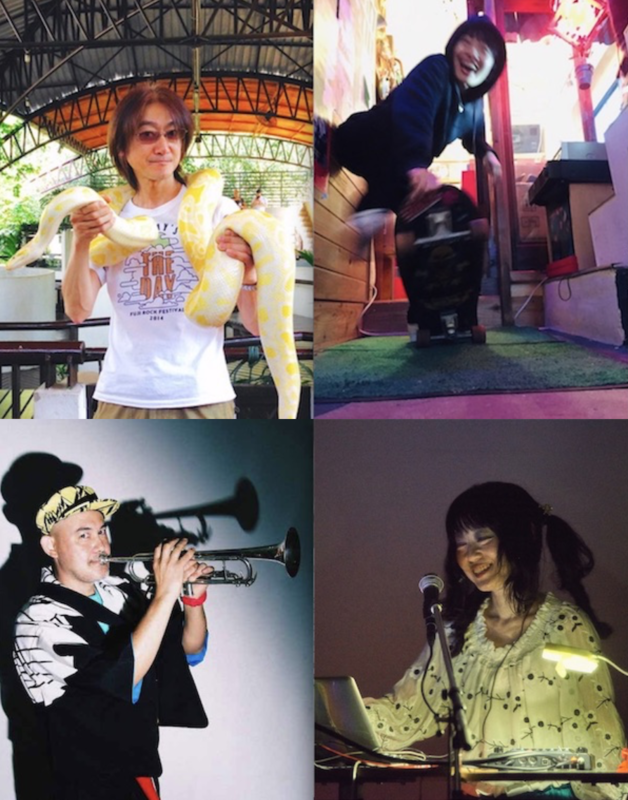 'Where We Overlap’ is a musical collaboration between Haco, Horomona Horo, Reuben Bradley, Jeremy Mayall, Kent Macpherson, and Megan Rogerson-Berry. 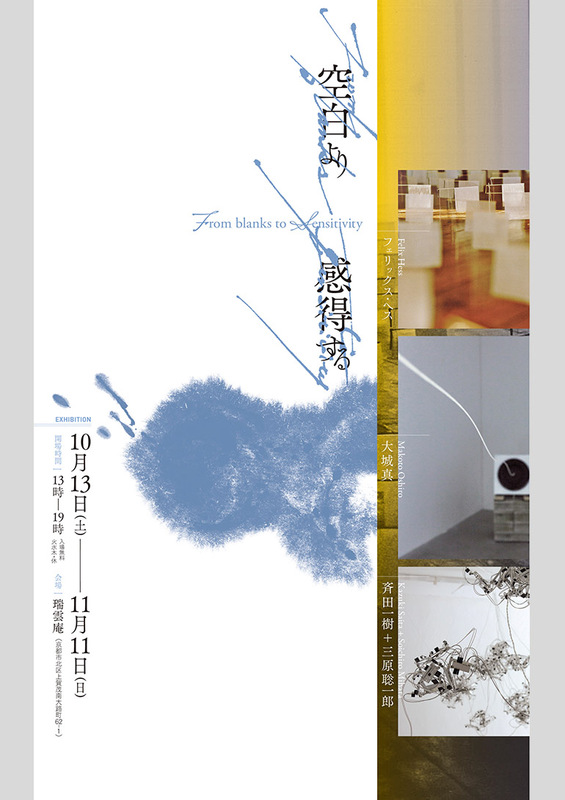 展覧会『空白より感得する』Exhibition "From blanks to Sensitivity"
An audio document of Haco's Sound Bugscope workshop at Divadlo 29 (CZ). 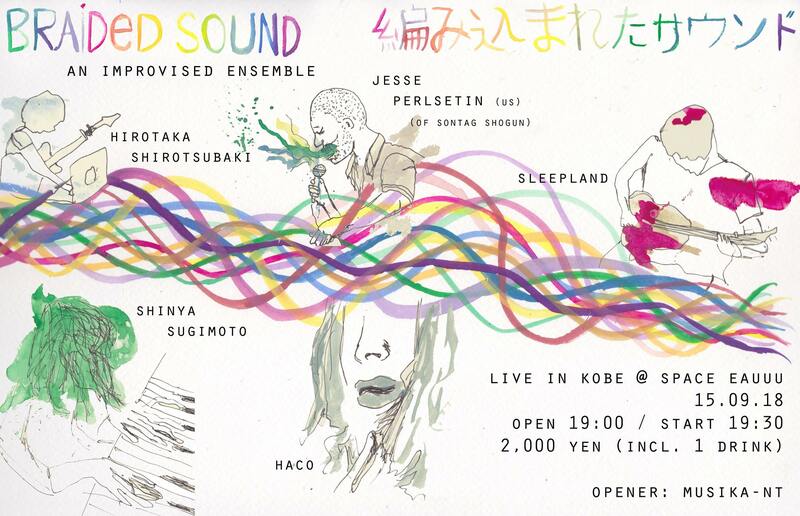 Sound Bugscope is a practice of exploring the possibilities between sonic art, improvisation, impromptu composition, and soundscapes, and attempting to use the ear to approach sound from a different angle. 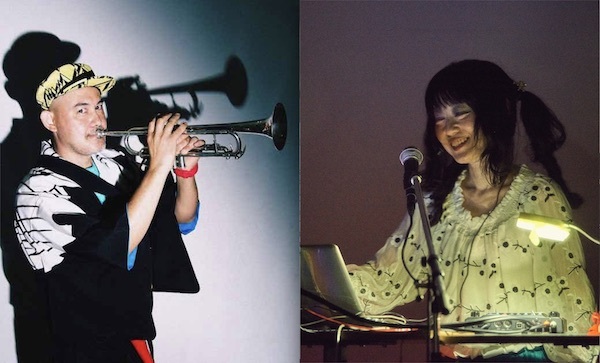 ✵A huge thanks to the Bandcamp Daily for featuring the albums, SUIQOO (remix) & Qoosui (original) in the story! 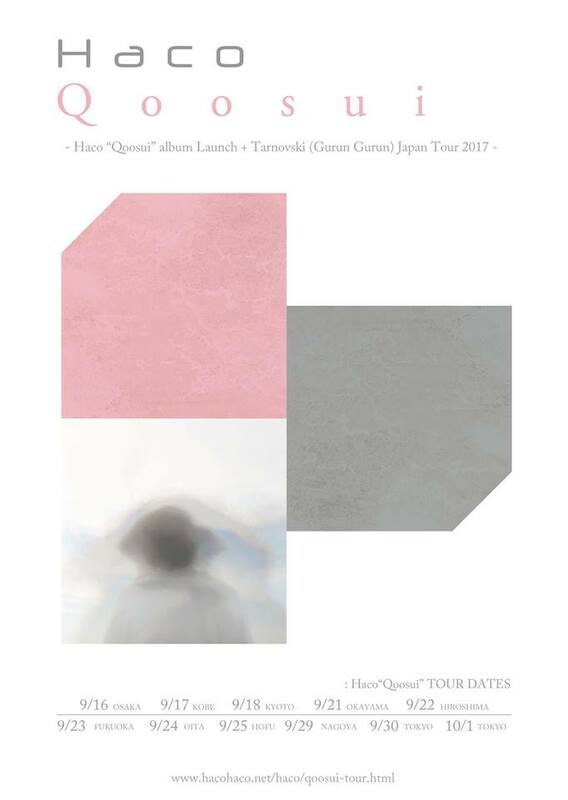 HACO's upcoming performances outside Japan in 2018. So thrilled about my first concert & workshop in Russia! 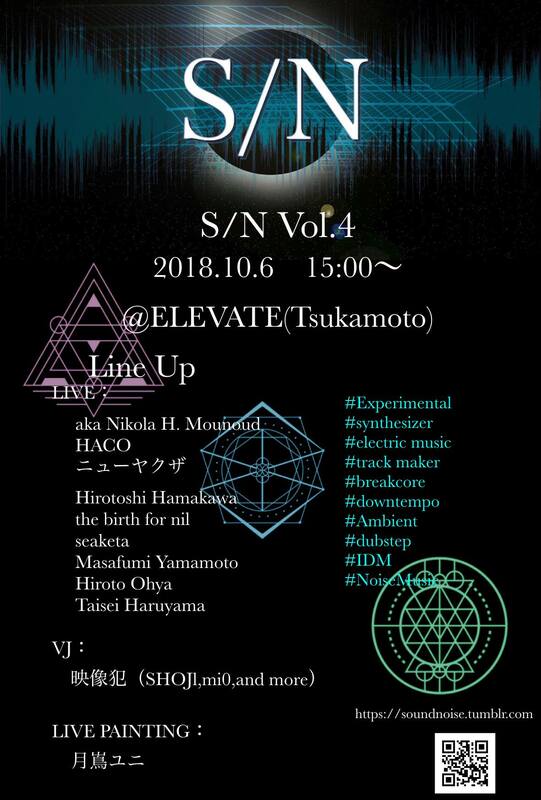 【TMnetwork06/2018】 .::._. : :._.. .. . .::._. : :._.. .. . .::._. : :._.. .. ..::._. : :._.. .. 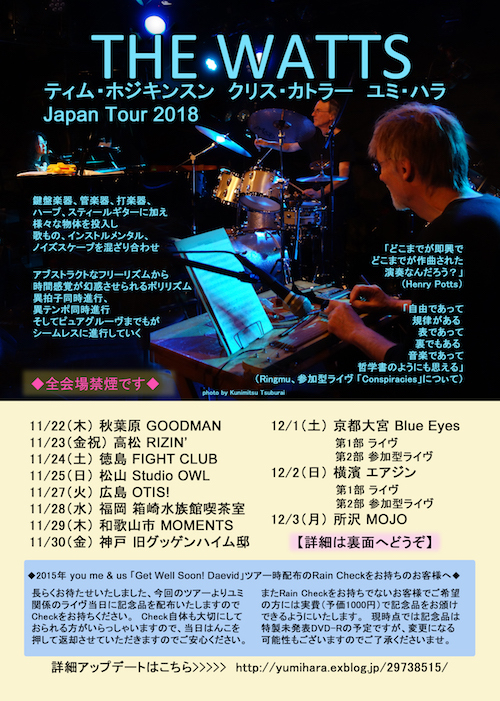 So happy to share my photo album from the Qoosui European Tour 2018. I've still been updating it. Most of the pictures are by using my portable camera and an iPad camera by Tarnovski, but including some links to the professional shots. Hope you enjoy them! 【TMnetwork04/2018】 .::._. : :._.. .. . .::._. : :._.. .. . .::._. : :._.. .. ..::._. 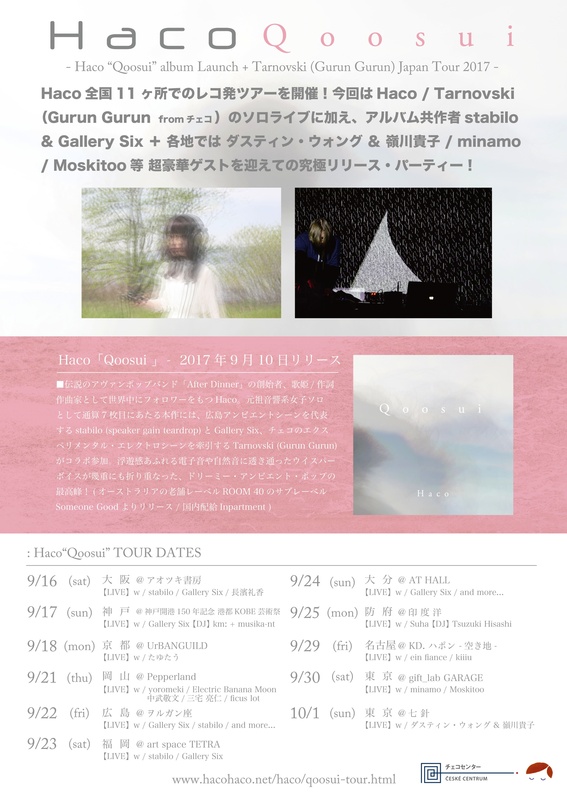 : :._.. ..
6 remix tracks of Haco's 2017 album "Qoosui". 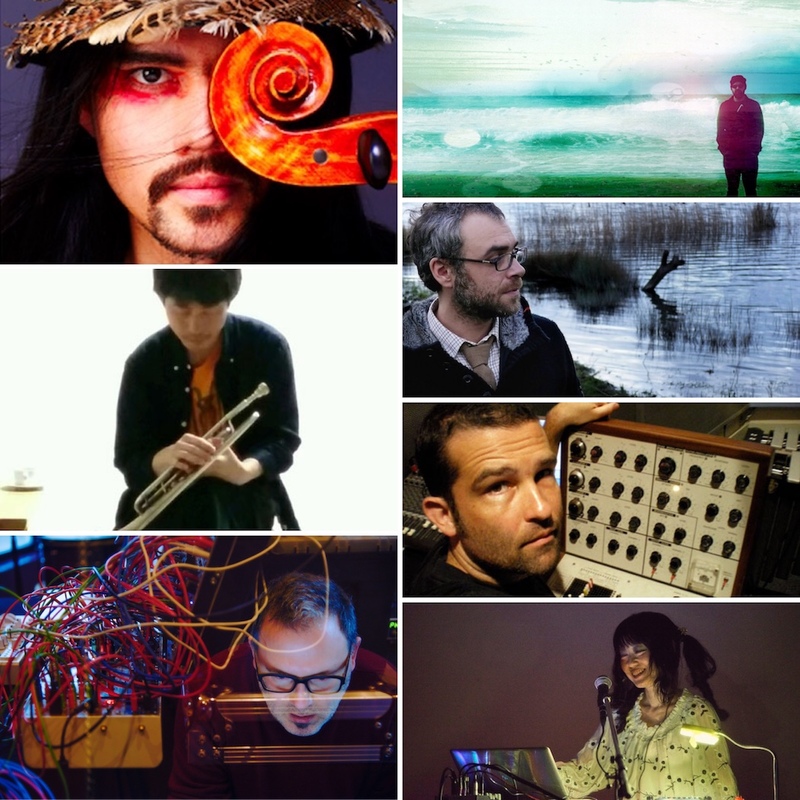 Remixed by the 6 internationally outstanding electronic artists I adore. 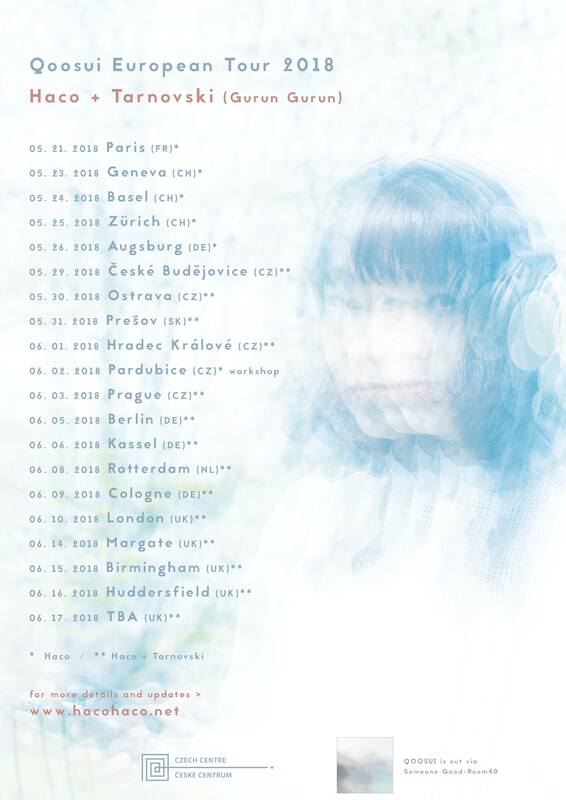 TOUR DATES IN EUROPE✈ ::._. : :._.. .. ..:._.:._.. 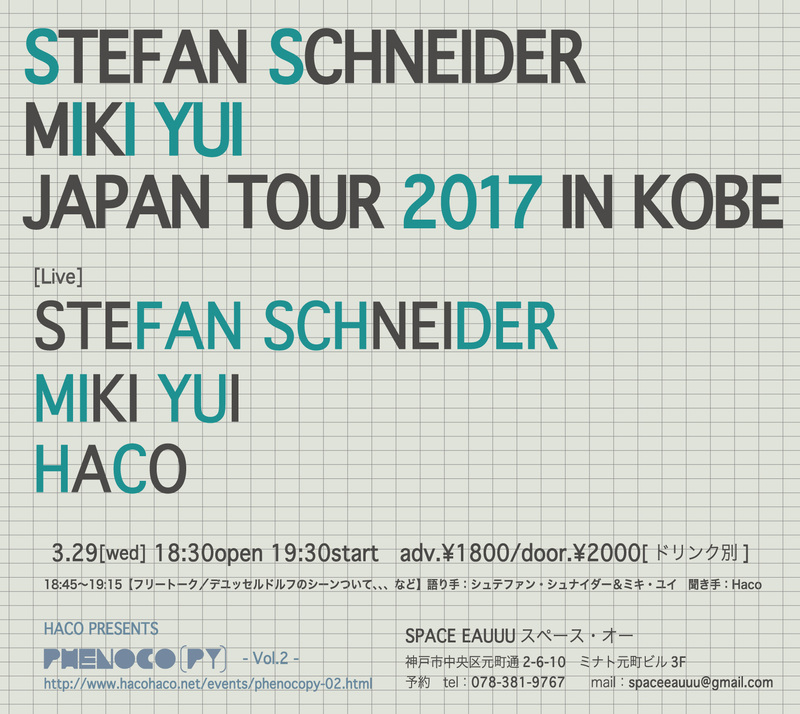 .. .
More details soon! 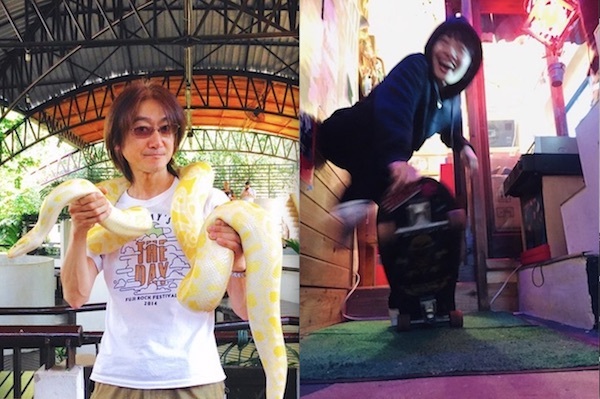 Please check out the updates. 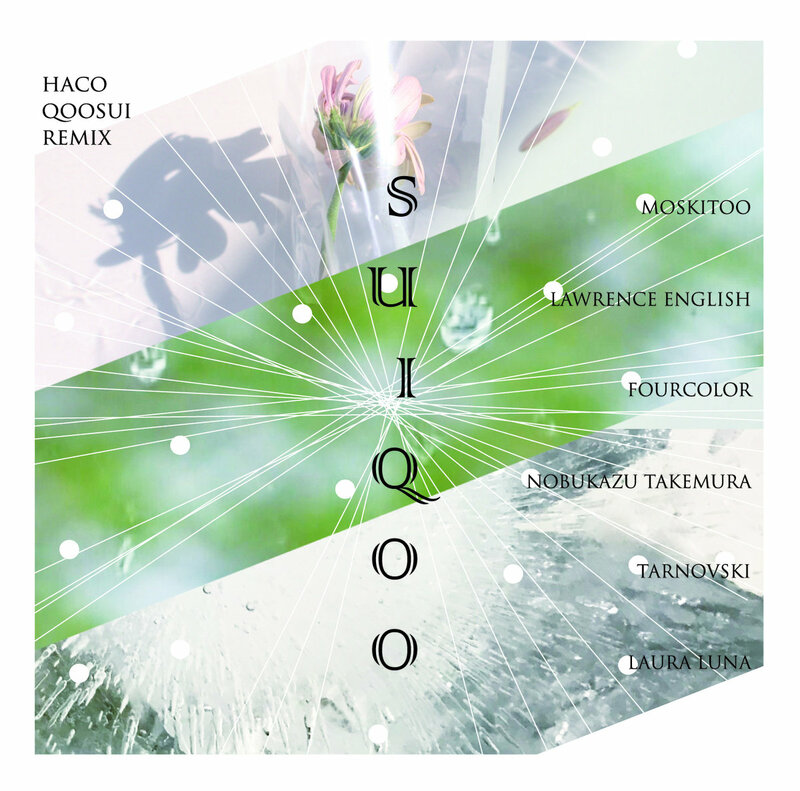 ●The new full album, QOOSUI【edition/ +1 bonus track】 is available NOW on Haco's Bandcamp! This is a high-quality DIGITAL release, including the track Anesthesia Love (Homeopathic Mix by Tarnovski, the complete lyrics (EN/JP), and credits. 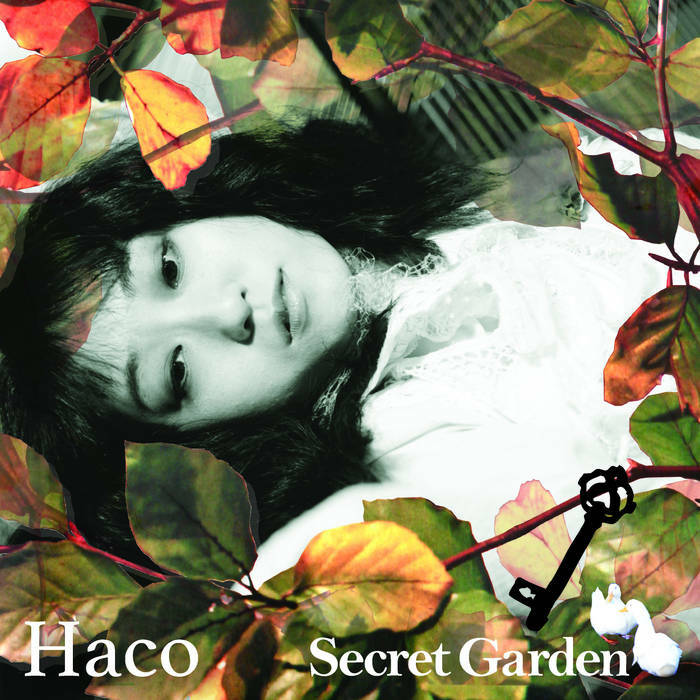 ●Digital reissue of Haco's previous albums and the new live edition will be available on this Bandcamp, in the near future (the plan). 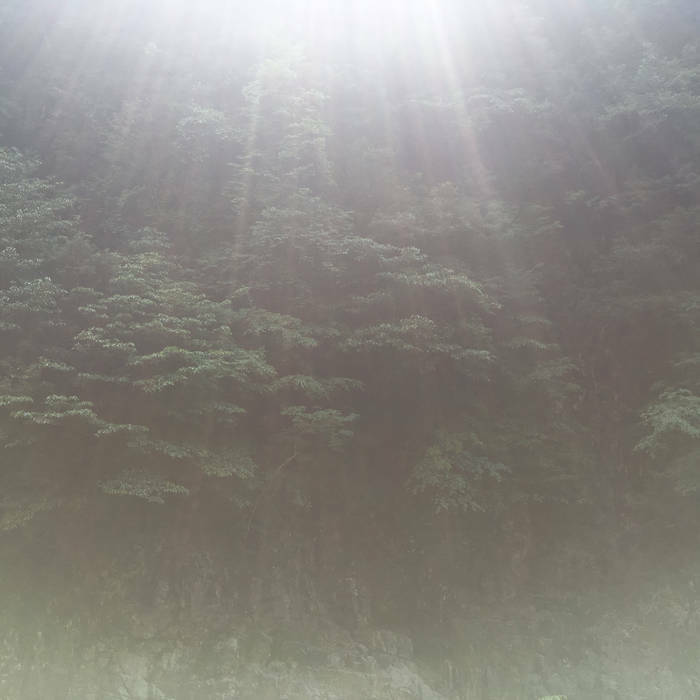 - a free download album, which is compiled from tracks Gallery Six / stabilo (speaker gain teardrop) contributed for "Qoosui", is now published. 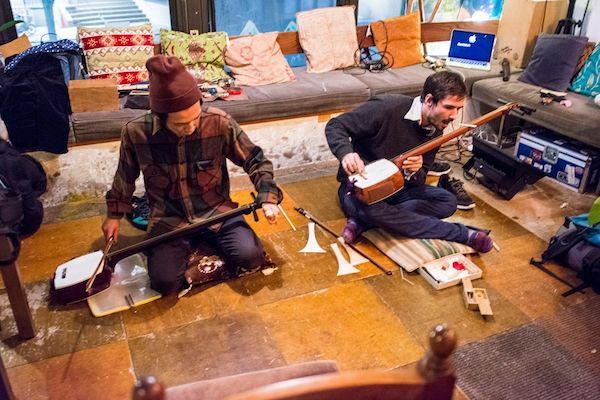 Qoosui, the full new album OUT NOW via Room 40-subsidiary Someone Good!! 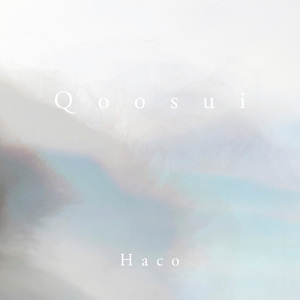 An introduction by David Toop, and commentaries by Ytamo, Dustin Wong, and Takako Minekawa on "Qoosui"
For Haco's seventh solo album, Qoosui, she worked with Stabilo (Speaker Gain Teardrop) and Gallery Six, masters of the Hiroshima ambient scene, and Tarnovski (Gurun Gurun), a key figure in Czech experimental-electro music. 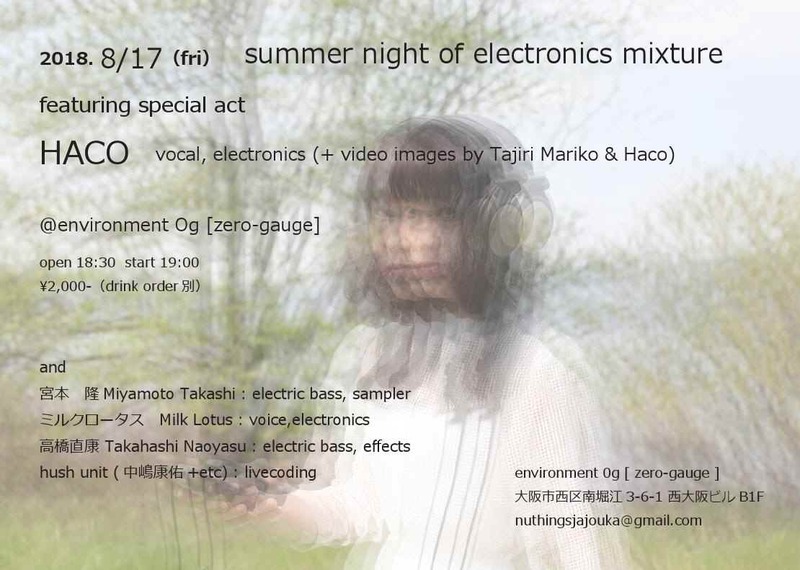 Her layered whispering voice rises up from floating electronics and nature sounds to achieve a new pinnacle in dreamy ambient pop! 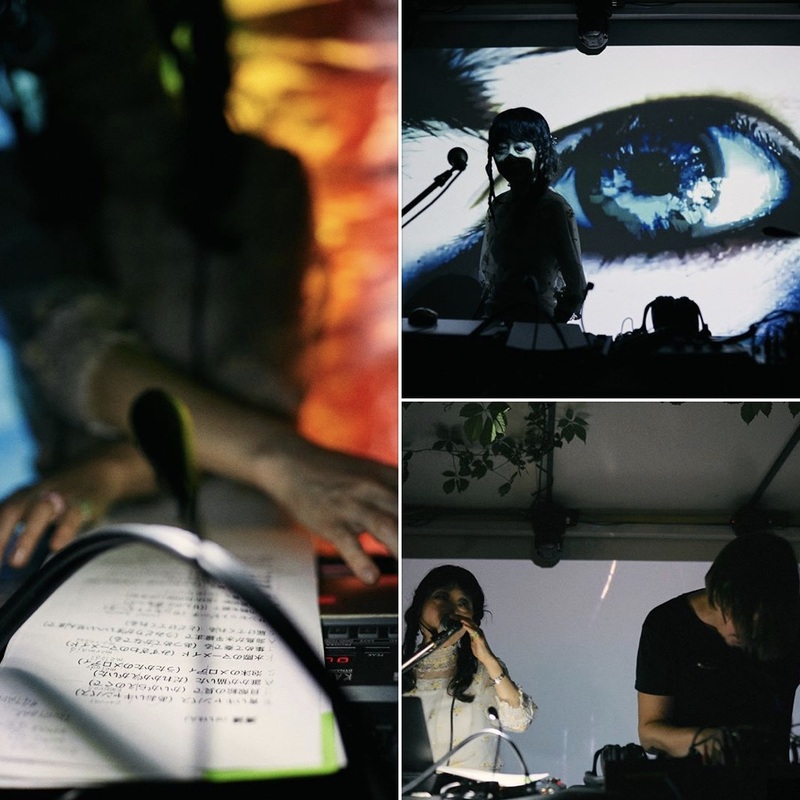 Qoosui, the full new album is coming out on September 1st via Room 40-subsidiary Someone Good. The final mixing is done on my new album, called "Qoosui", which consists of vocal based ambient/electronic/shoegaze, 7 songs. 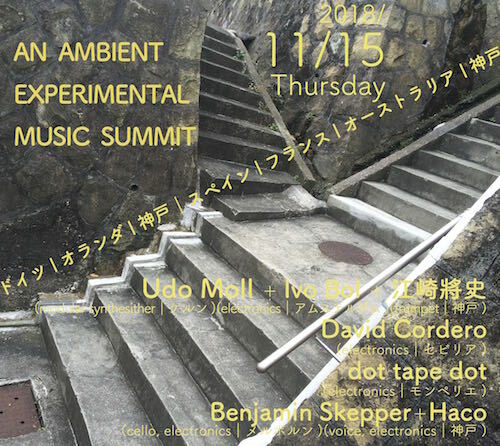 How lovely and grateful to collaborate with Stabilo (Speaker Gain Teardrop), Gallery Six , Tarnovski (Gurun Gurun), Obelisk of Light, and Masakazu Fukuta who does the artwork, for this album! 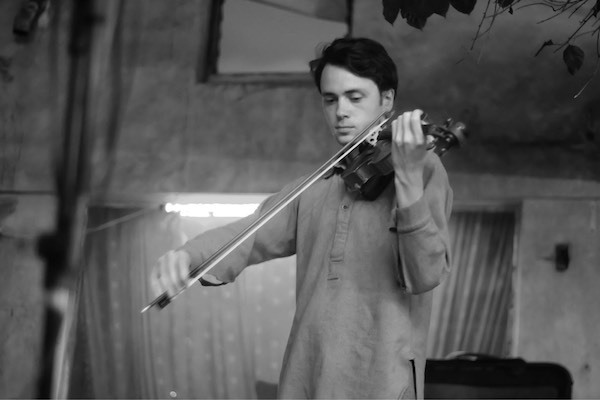 And the mastering is supposed to be worked by Ondřej Ježek (OTK, Gurun Gurun) in March. This record would be released in the middle of 2017! More details upcoming soon! 2-day recording session with Kent Macpherson (guitars, electronics), Jeremy Mayall (keyboards, electronics), Megan Berry (voice,electronics), Reuben Bradley (percussion), and Dan Edgar Reese (sound engineer) at Wintec, and a video recording of our performance with the visual artist, Paul Brady at Ramp Gallery, in Hamilton, New Zealand. 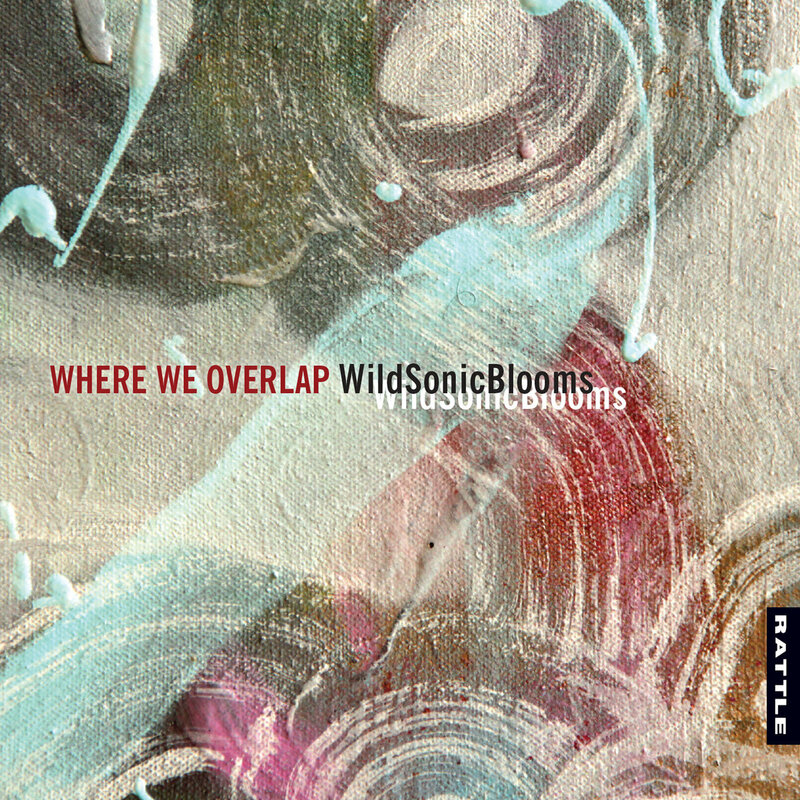 The work "Wild Sonic Blooms" will be released around spring, 2017.